Toyota announced another huge recall for three models including the RAV4 affecting 2.2m vehicles. Defective floor mats lead to action. since the company acknowledged potential dangers from out-of-position floor mats on some models in November 2009.
: No fault found with throttle controls. , (details at bottom of story). (details at bottom of story, includes video). 2010-02-25 – original post – details about the updates above can be found at the bottom of this story. Toyota’s worldwide recalls are devastating the firm’s reputation with customers, as well as its bottom line. Some have suggested that any further botching of the message to consumers could throttle the brand. 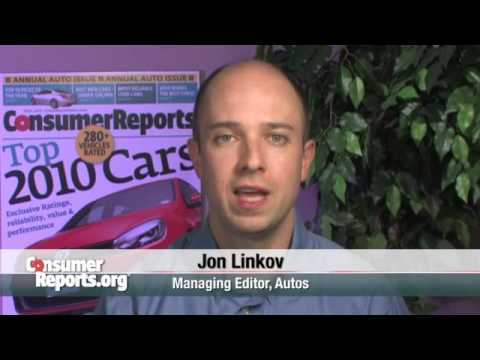 Vehicle recalls are grim, and tend to be announced on a Friday to minimize attention. Until now, Toyota has enjoyed a shining reputation for quality and reliability. This image has been hit by mass-recalls involving defective accelerator pedals and out-of-position floor mats, which can jam accelerators and have been linked to several fatal accidents. US sales tumbled 16 percent last month. We outline four factors of inadequate management that exacerbated Toyota’s problems and suggest three steps to minimize the risk of Toyota’s loss of reputation for quality. To illustrate, we know of 26 reported accelerator pedal problems in Europe, where 2 million cars are affected. Let us assume that each is driven for about 10,000 miles a year. If the problems all occurred in one year, the real chance appears to be an absolute maximum of 1 problem every 769 million miles. The above indicates that the chances of encountering the problem in your Camry or Corolla are pretty low. And according to Toyota, the repair takes 30 minutes. The trouble with risk is that people pay attention to the new while discounting the familiar, no matter how ridiculously small the new risk is compared to the former. Because people put emphasis on the new while discounting the familiar, when Prius brake problems were reported, customers got concerned. As we know, however, a problem that is handled well can increase customers’ loyalty. But it appears that Toyota dropped the ball. When Toyota told the world of its recall in January, one of its first public statements was made by a Japanese executive who faced television cameras wearing a surgical mask. While masks are not uncommon during Japan’s cold season, journalists took it as a metaphor for Toyota’s bungling aspects of customer communication during the crisis. Both in the US and Europe, the lag between Toyota’s recall announcement for accelerator issues and communication of the details to the public lasted days. Akio Toyoda was almost absent from the public eye. Besides a brief statement given during the World Economic Forum (WEF) in Davos, Mr Toyoda has said nothing publicly about the recall. Mr Lentz (head of US sales) had a good media presence in the US. However, consumers want to see the CEO working overtime to address their anxieties and not a mere sales manager. We know that the US marketplace requires an emotional bedside manner. Hence, Toyota’s stumbling scion has to shift character from aloof strategist to dynamic public relations man. History has taught us that the CEO being seen to to take action is critical to securing customers’ trust in the company. This is difficult for some European or Japanese executives to grasp, but Mr Toyoda’s reluctance to engage with the public during a crisis is a risky strategy that results in getting to the party late. Currently, it is estimated that 44 class-action lawsuits have been filed under standard and federal law in the US. It is estimated that the claims could reach US$3.6 billion (€2.6 billion). This is based on an average loss of US$600 per vehicle. Some claims relate to death, injury and property damage allegedly caused by defective parts, while others are based on a drop in Toyota vehicles’ trade-in values. The US National Highway Traffic Safety Administration (NHTSA), is facing criticism over its response to Toyota safety concerns, and the agency is investigating whether the vehicle recalls were conducted ‘in a timely manner’. When politicians feel under pressure to do something, the first order of business is to deflect attention from themselves. The Toyota recall suggests the same mechanism is now in effect and Mr Toyoda was grilled during the hearings on February 24 (Wednesday). P.S. – 200 American factory workers and small-business owners pleaded their case with politicians in Washington on Tuesday, February 23, asking Congress to go easy on ‘friend’ Toyota. But going ahead and closing the Freemont plant in California, its most important US market, was another PR flop that could damage Toyota’s image even further. Obviously, how people assess risk, whether rationally or not, will affect their response to the recall. Further, an executive who hides and does not convincingly and eloquently field difficult questions seriously dents the brand’s pristine image. Finally, with the US mid-term elections only 10 months away, no member of Congress wants to be seen as not protecting the electorate’s interests. Beyond that, Toyota’s recall crisis has prompted the automaker to seriously beef up its use of and presence on social media channels. For instance, an interview was given by Jim Lentz to Digg Dialogg. Toyota has also used a social media response team of eight people located in Los Angeles to monitor sentiment and trends, including the all-important viral element. 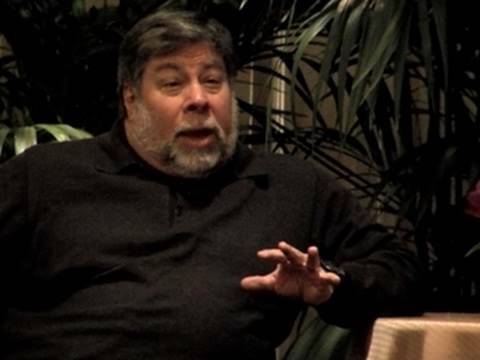 On February 1, Steve Wozniak, co-founder of Apple, claimed that he had experienced a ‘software-related acceleration problem’ with his Prius, that causes the car to go wild under certain conditions when cruise control is engaged. This and his comment that, “This is software. It’s not a bad accelerator pedal. 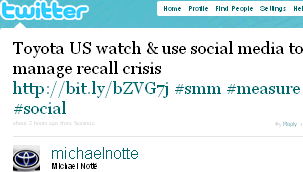 It’s very scary, but luckily for me I can hit the brakes,” spread like wildfire via newswire, Twitter and others. Toyota failed to respond quickly to the above. Neither a blog post nor tweets nor Facebook wall-messages communicated to Toyota customers or anyone else about this problem. In these situations, straight communication is required and Toyota failed on a grand scale. Toyota’s management does not appear to understand the inner workings of social media that well. For example, when Toyota USA moved their successful car blog ‘back’ to the corporate site, the youthful hipness was suddenly replaced by corporate blandness. 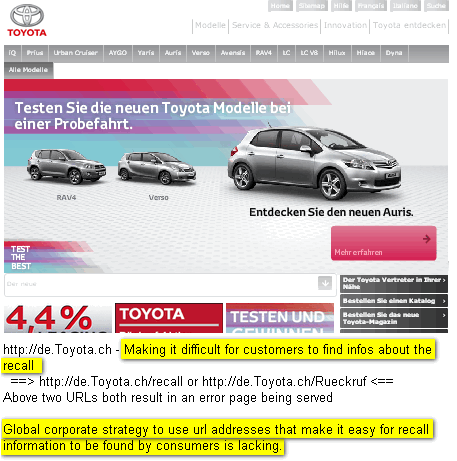 Worse, Toyota has more than one destination on the web providing users with critical information about the recall in their language, for their market. 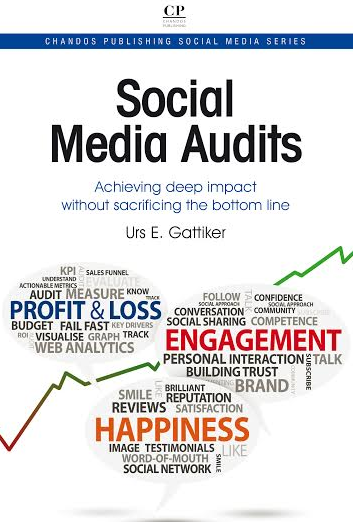 Instead, each sales organization (e.g., US, Japan or Switzerland) does what they think is best. 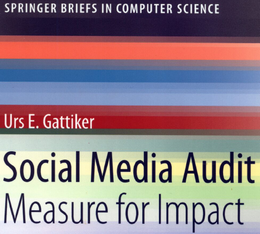 As the image to the right illustrates, the result is a less than satisfactory user experience. In fact, Toyota’s webpages in Germany, Denmark and Switzerland all fail Usability 101 for making it easy to find recall information. Mr Toyoda’s silence on the recall issue may reflect his focus on deeper structural problems and wanting to stick to his agenda. But showing up to a press conference and only delivering prepared remarks is not what is needed. In fact, the aloof chief needs to engage with the public. While he blogs about racing and car design he does not show a willingness or ability to move from aloof strategist to dynamic PR man. The recall is a safety issue and trying to send a local manager to testify in Washington was the wrong move. Moreover, Ms Smith – who called her husband because she thought she was going to die when her Lexus inexplicably accelerated to 160 kph, will not improve the company’s image. Her testimony before the House Committee on Tuesday, February 23 was heart-wrenching, very emotional and outright scary if one imagines experiencing the same. Similarly, airing the 911 call of a family of four whose brakes were not working properly on news stations around the world (e.g., Spain and Switzerland today – yes, all four died) is harming the company’s global reputation. And no, Jim Lentz (head of Toyota’s US division) shedding a tear during testimony is not enough, given the company’s saga of mishaps and blunders, if not outright greed. Risk assessment by consumers, the CEO failing to go to bat for the company and politicians (including Seiji Maehara, Japan’s Minister of Transport) putting Toyota under the microscope for failing to act quickly: this is currently wiping out Toyota’s reputation for quality and could throttle the brand if it continues much longer. 1. Silence is perceived as guilt: There are right and wrong ways of handling a recall. However, near-silence on the issue is generally perceived as an admission of guilt. Refusing an informal request to testify before accepting a formal request (as if he had a choice) is a bad move by any CEO and worse in the eyes of the US public if the CEO is foreign like Toyoda. 2. 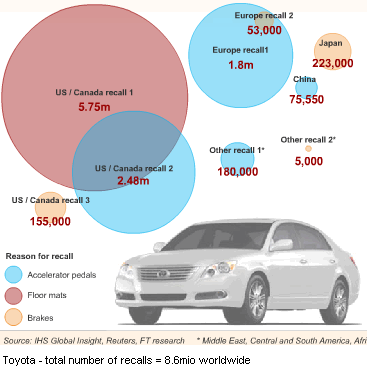 Global markets require global responses: Global markets serviced by global companies like Toyota require a unified strategy for handling recalls. Recalling cars in the US while still thinking about it elsewhere like Europe or Asia spells disaster on the public relations front. Having a social media response team in Los Angeles is helpful, but fails to address challenges elsewhere (e.g., China, UK). Not only do we need to think globally, social media and the Internet require a globally orchestrated response. In fact, the LA response team should be one of several teams around the globe working together closely. 4. Shedding tears after boasting about saving money by avoiding a recall won’t cut it. There were tears at the hearings on Tuesday – even Jim Lentz of Toyota’s US division shed some – but this does not offset the fact that people got hurt and died. Plus, Toyota bragged about saving US$100 million (€73.5 million) after ‘negotiating’ a recall of 55,000 floor mats with US regulators in 2007, with ‘no defect found’. And because Mr Toyada’s performance before the Committee on Oversight and Government Reform on February 24th (Wednesday) was not a stellar one… things will get worse before they have any hope of getting better. The above shows that while some factors exacerbated the Toyota PR disaster, the company’s failure to effectively use social media through a unified global strategy caused Toyota’s image to take a harder beating than necessary (e.g., younger car buyers in such key markets as California). Please, leave a comment! We love to hear your thoughts: how do you feel about Toyota’s recall disaster? How do you feel about this subject? Please share your insights. 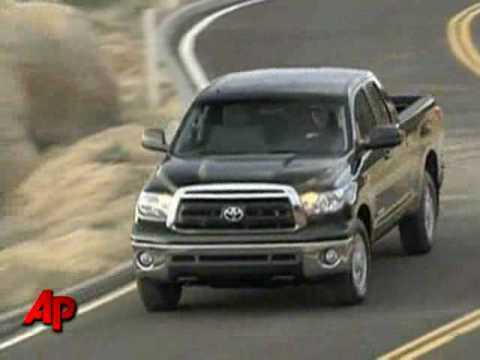 Update 2011-02-24: Toyota is recalling another 2.2m vehicles in the US. The recall is affecting Toyota and Lexus vehicles including the RAV4 sports utility vehicles. This is bringing the number of worldwide recalls up to almost 14m vehicles within the last 18 months. These recalls have hurt the world’s biggest carmaker”s reputation for reliability and quality. The carmaker has lost significant market share int he US, forcing it to raise discounts. Toyota has paid a record of $49m in fines in the past year for improperly notifying regulators of potential defects. The current recall is in response to regulators concerns that installing a small metal plate on accelerator pedals was not addressing the problem with defective floor mats that can jam accelerator pedals. At least this time the social media backlash does not seem as bad but still it continues on Twitter. Update 2010-10-22: Toyota is recalling another 1.5m vehicles in the US, Asia & Europe. The recall affects 15 models mostly high-end offerings, such as Lexus IS and GS saloons. All models were built between 2002 and 2006. The models include Crown and Avalon passenger cars, Alphard vans and Highlander pickups, in addition to the Lexus saloons. The company has now recalled about 12.4m vehicles since it acknowledged potential dangers from out-of-position floor mats on some models in November 2009. About half the recalls are in North America where Toyota has suffered its most serious image and reputation loss due to its quality and safety problems. The brake flaw involves a faulty rubber seal on the affected vehicles’ brake cylinders. This could cause fluid leaks and, unfortunately, in extreme cases a ‘loss of braking power’. The second problem involves the fuel injection systems whereby caps covering wires in affected cars’ fuel pumps were prone to melting. This issue can trigger engine failure. The above represents a further blow to Toyota’s image as car manufacturer that offers high quality vehicles. Investigators’ caveat was that the results are preliminary and that additional investigations are needed. Moreover, the event data recorders may be unreliable or inapt for determining the alleged flaws in the electronic systems. Hence, the NHTSA data may be biased. NHTSA itself said to be careful about interpreting the initial findings. NHTSA also noted that most Toyota models before 2007 were not equipped with recorders capable of storing pre-crash data. Update 2010-07-14: June 30, Daniel Smith, an official from the National Highway Traffic Safety Administration (NHTSA) addressed a meeting organized by an indeptendent committee set up by the National Research Council to probe the cause of unintended acceleration. The committee is expected to complete its report in mid-2011. Toyota has acknowledged mechanical defects in accelerator pedals due to “pedal misapplication” and other driver errors, and warned that out-of-place floor mats could cause pedals to jam. Mr Smith’s remarks mean the company has gained ammunition in its effort to restore its reputation regarding car safety. 1 – loosing market share,2 – resorting to unusally generous discounts and other perks to win back customers, AND3 – having its reputation and brand including image regarding product safety and reliability damaged severely. Conclusion. It pays to be ready for such an emergency by having a tried and tested disaster recovery plan in place – now Toyota is paying through its nose to offset the crisis’ fall-out. Update 2010-07-02: Toyota is still damaging its brand by having been forced to recall more than a quarter of a million Lexus cars (270,000) after it discovered that a component in engines was susceptible to cracking, which it said could cause the vehicles to stall. The defect was discovered in 2 types of Lexus engines, both built in Japan. Toyota declined to reveal the supplier of the crack-prone springs. Update 2010-04-16: Consumer Reports, a US publication that tests product safety, issued a rare “don’t buy” rating on the Lexus GX460 vehicle. The SUV went on sale at the end of last year. About 6,000 have been sold. Toyota has confirmed that 13,000 were recalled eventually. Lexus models account for a little over a 10th of Toyota’s US sales by volume. However, profit margins can be as much as 10 times higher than those on Toyota cars. This is a serious issue since it could seriously damage the Lexus brand in the US. Toyota is reviewing the performance of electronic stability-control systems on Toyota and Lexus branded SUVs. Consumer Report’s ‘don’t by’ review has prompted Toyota to suspend sales of the Lexus GX460 luxury model in North America, Russia and the Middle East , where the GX460 has been introduced (view tape below). Worst part – I was being watched by my team leader doing 'unsafe act'. He remained silent. Seing me remove the wire (After confirming zero volt), he called Group leader on radio and walked away. Group leader commented that I was working unsafe, but look at long enimity I had with Team leader, and his working style putting pressure on work, rather than supporting the worker. There is no law in Canada which can support me! What a tragedy! !